Setting up a sale or resolving a customer issue is often about knowing the right information and delivering it at the right time. Woveon’s AI assistant helps agents get results through conversations. Intelligent response is a framework that helps agents give responses that are quick and personal, yet opportunistic towards business goals. Taking into account the customer’s single customer view data, and how other agents have successfully responded to similar customer issues, Woveon provides suggested responses on how an agent could proceed to interact. Intelligent responses are optimized to take control of the conversation – to provide exceptional customer experience, monitor for compliance and maximize revenue. How does Intelligent Response work? 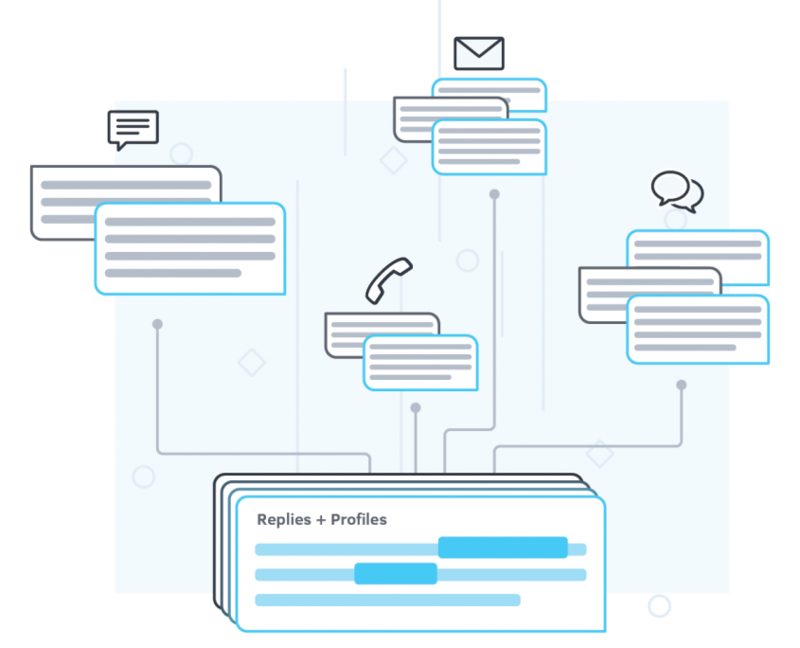 Having connected all existing customer data in a single customer view, Woveon is able to dynamically organize and search for information to assist agent responses. Woveon’s AI and machine learning technology connects the dots between a customers’ conversations, transactions and behavior, as well as responses of agents who have finished a customer conversation successfully. Whether success means to upsell a new product, reverse a potential non-compliant scenario or simply make an angry customer happy, Woveon will have an answer for that. 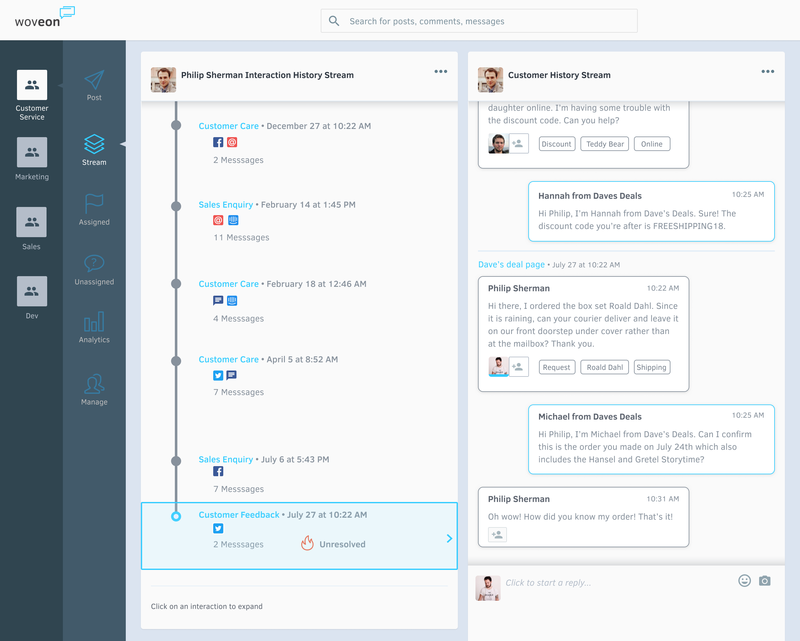 As conversations increase, Woveon will also become better at suggesting responses that produce the best results.